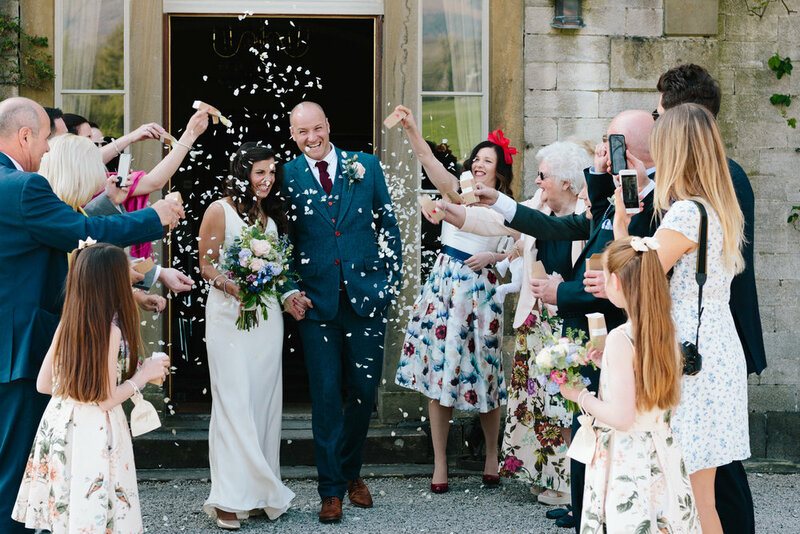 The country house (Underley Grange) was set on the edge of the historical town of Kirkby Lonsdale and provided a beautiful setting for the intimate wedding. 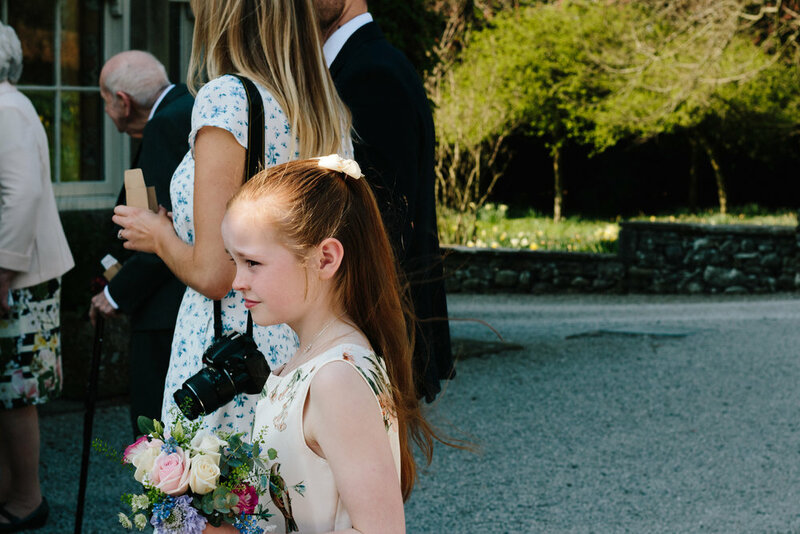 I loved exploring the house and grounds, snapping away with my camera, capturing the beauty of the light through doors and windows and the exquisite flowers by The Buttonhole Florist. Amy looked stunning and was such a relaxed bride. I love these photos of her and her Dad just before she walks down the aisle. 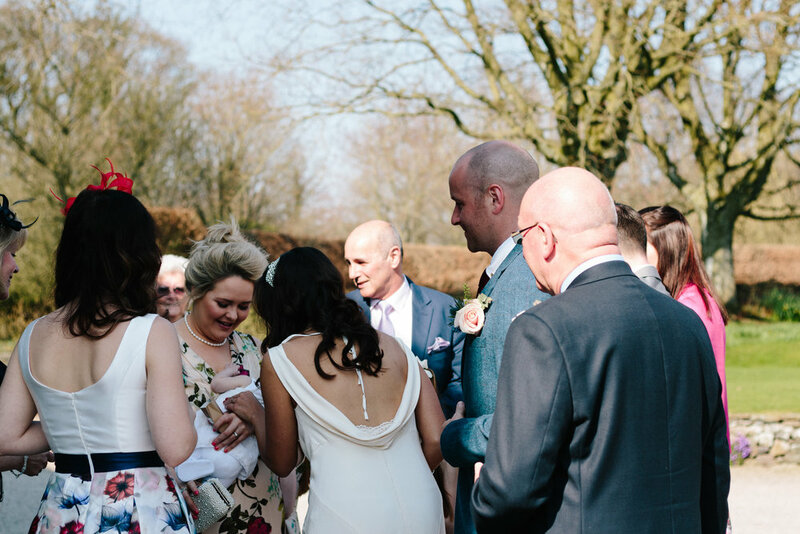 Amongst a small group of friends and family the couple shared their wedding vows. There were some emotional moments! After the ceremony, David's Dad played his guitar whilst the couple signed the register. I'm so pleased I managed to capture the 'first kiss'! After the ceremony, friends and family congratulated the couple and we had lots of fun with confetti! This was my first ever wedding shoot and I was oh so nervous about the whole thing. It was one of the scariest things I've done with my photography so far and in the end I learnt so much from the experience and am so proud of the images I created. I know I still have so much to learn, but it's been so lovely to have some positive feedback about my photos, to feel like I'm making progress and to think that I may have it in me to become a proper photographer!